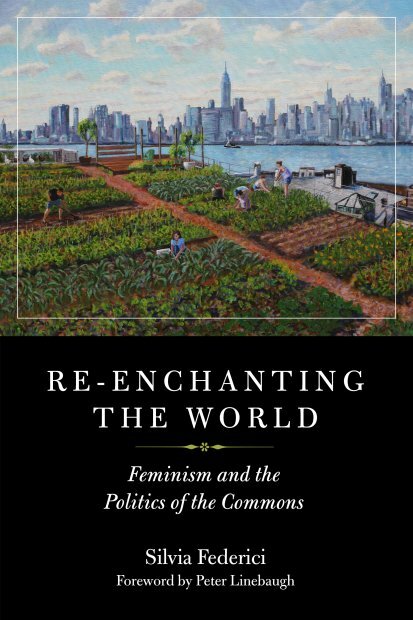 Join us in welcoming scholar, author, and activist Silvia Federici to Tufts on Tuesday, February 12 to discuss her most recent book Re-enchanting the World: Feminism and the Politics of the Commons (2018), which builds on her pathbreaking analyses of reproductive labor to develop a feminist politics of the commons that engages new forms of enclosure, debt, agriculture, land grabs, environmental justice, and building another world. 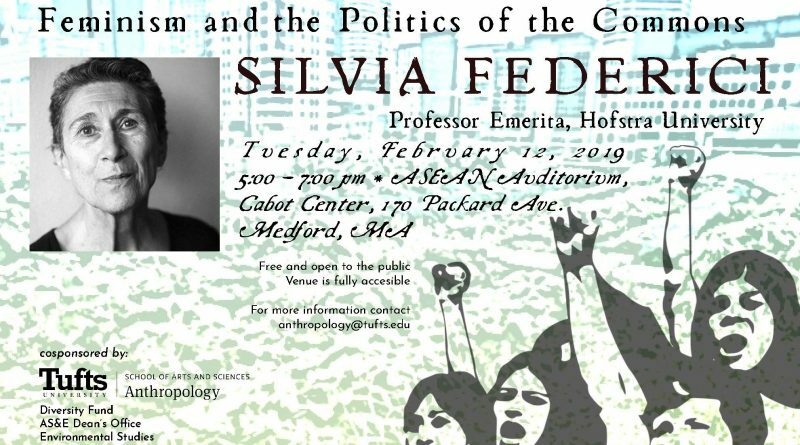 Silvia Federici is a scholar-activist and professor emerita at Hofstra University. She is one of the co-founders of the International Feminist Collective, the international Wages for Housework campaign, and the Committee for Academic Freedom in Africa. 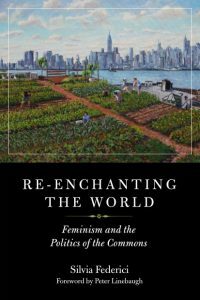 Her works include Wages Against Housework (1974), Caliban and the Witch (2004), Revolution at Point Zero (2012), Witches, Witch-Hunting, and Women (2018), and Re-Enchanting the World: Feminism and the Politics of the Commons (2018).